Best known for female-driven, laugh-out-loud comedies like Bridesmaids and The Heat, director Paul Feig brings his signature brand of humor - albeit noticeably muted - to the Gone Girl crowd with a sleek, stylish and altogether satisfying adaptation of Darcey Bell's 2017 novel, A Simple Favor. Gross-out gags and slapstick antics are nowhere to be found here, but Feig's wryness is a perfect match for American Horror Story: Coven writer Jessica Sharzer's wickedly funny script, brought to life by a pair of knockout performances from its leading ladies. Anna Kendrick portrays Stephanie, a widowed mommy vlogger whose boundless energy and seemingly infinite level of perkiness have done little to endear her to the other moms and dads at her son's elementary school (Andrew Rannells is particularly great as a catty, condescending father). She strikes up an unlikely friendship with the only other mom even more disliked by the other parents: Emily (Blake Lively), a glamorous and icy career woman who shares a stunningly beautiful home with handsome but frustrated novelist Sean (Henry Golding). Clad almost exclusively in tailored suits and stiletto heels, Lively cuts an intimidating figure, and clearly relishes her character's penchant for profanity and off-putting commentary. Their parenting styles couldn't be more different: Stephanie is the textbook definition of a helicopter mom, while Emily shows far more affection toward her afternoon martini than her child, but Stephanie's fascination with her new pal's lush lifestyle finds her looking past the discomfort she feels about casually discussing threesomes, dark secrets and sexual transgressions with someone she barely knows. It's clear that Emily represents an alternate version of Stephanie that never materialized, and the latter's envy is evident right from the start. The titular favor arrives when Emily phones Stephanie with a request to pick up her son from school: she's stuck at work and won't be able to get there until later in the evening. When Emily hasn't shown up by nightfall, Stephanie begins to worry that something might be amiss, although Sean assured her this sort of thing has happened before: it seems Emily has a history of disappearing for a few days whenever the pressures of her career and/or marriage become too much to bear. But this time, Emily doesn't come waltzing back in to pour herself another drink: her body has been fished out of a lake several hundred miles away. 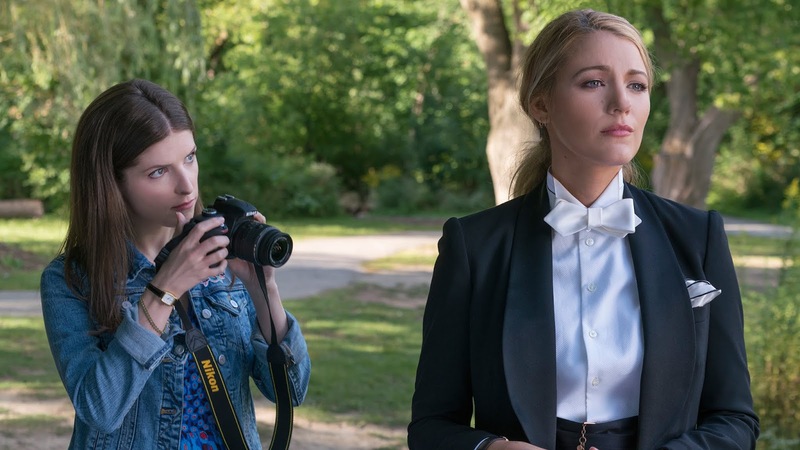 If you think this revelation is a spoiler, then strap yourself in, because all of this happens during the first act and A Simple Favor is just getting started. Stephanie leverages her vlog (and growing number of subscribers) to investigate the circumstances of Emily's death, while also cooking meals for Sean and his son Nicky (Ian Ho) and trying to help them keep things together. Before long, she's "taking care" of the family by sharing Sean's bed and wearing his dead wife's clothes, but the fate of her former best friend is called into question when Nicky repeatedly insists that he saw his mother outside the school. As Stephanie goes full-on Veronica Mars, her quest for answers leads her down a rabbit hole of secrets, some of them campy, some of them horrifying, and all of them increasingly bizarre. The sheer number of twists and turns in the narrative - especially during the third act - is mind-boggling, and some viewers may find themselves jumping off this speeding train long before it crashes into the station. But Kendrick is deeply committed to her role, embracing the ever-growing madness with gusto even when the plot strains the limits of credulity (which it does often), and watching Stephanie's dogged pursuit of the truth (and the simultaneous deterioration of her own mental state) is the stuff great thrillers are made of. Some aspects of the tale may be a bit hard to swallow, but thanks to Feig and his cast, every step of the journey is entertaining.